Based in Maidenhead, the Autism Group runs several clubs for children and young people on the autism spectrum.Many young people on the spectrum have special interests which they would like to share with others, but lack the social skills needed to do so. We can offer opportunities to help make those connections in a structured and understanding environment. We cater for children and young people aged between 9 and 25 who have a diagnosis of an autistic spectrum condition and are of mainstream ability, but would benefit from support to succeed in social settings. Pokemon Club - share your interest in the Pokemon video or trading cards games and other related art and video game activities. Ages 11 to 25. Fusion - will appeal to fans of multi-player console gaming or Pokémon plus trading card games, pool and some board games. Ages 11 to 25. Arts and Crafts - age 11 to 25, build your confidence and make friends whilst enjoying a variety of arts and crafts activities. Console Gaming - Age 16 to 25, meet others for gaming and game related chat. GAP Club - Ages 9 to 13. Activities from all of the above clubs for a younger age group. Parents do not need to stay but can stay on site if they wish to. Parent Support Groups run alongside our Pokemon and Fusion Clubs. Please contact Ruth Barlow the Club Co-ordinator for more information about our clubs. We endevour to respond to your enquiry within 5 working days. Our special interest clubs meet in different locations in and around the Maidenhead area. The venue is just outside the centre of Maidenhead. On street parking is available. The Centre is 19 minutes walk from the Railway Station. Several Bus companies run services to Maidenhead including Courtney Buses, Arriva and Thames Travel. Our Arts and Craft Club, Fusion and GAP Clubs use this venue. Other venues include Berkshire College of Agriculture and Braywick Nurseries. First session is free. Thereafter payment is required four weekly in advance. Refunds are not available for non-attendance. We charge the higher session fee for our Art Club to cover the cost of materials. The venue is on the first floor, up a short flight of stairs. There is no lift. We welcome participants from any local authority area. We require an application form to be completed before a place is offered to ensure we fully understand needs. We follow safe recruitment practice. All staff are DBS checked. 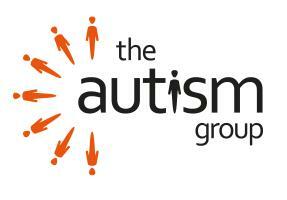 All staff including volunteers have had autism and safeguarding training. We have policies and procedures in place for safeguarding, health and safety, data protection, confidentiality. We have a feedback and complaints procedure which is available from The Autism Group Charity Manager and on our website.